For a long time, PC gamers were restricted by the ethernet cable in order to go online but now that is no longer a limitation. Motherboards nowadays come with Wi-Fi built in but even if you have older hardware you can get a wireless adapter to go online without any cables. Wireless adapters are easy to install and come in all kinds of shapes and sizes. 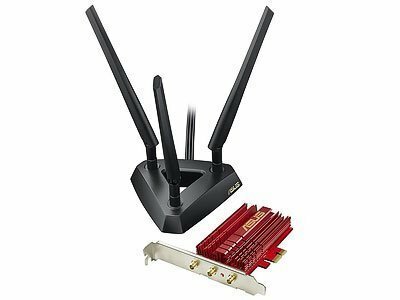 These devices allow you to connect to the internet using Wi-Fi which can come in handy if you like small form factor builds and move your PC around. You are no longer restricted by cables and do not have to manage them. All Wireless adapters are not the same. They have different kinds of interfaces and offer different speeds. Here we have compiled a list of the best wireless adapters for gaming that are available on the market. Here are all the wireless adapters that we are going to look into and some of their specifications that you might be interested in knowing at a glance. Here is a summary of all the headsets that we are going to talk about and some of their specifications that you might be interested in knowing about at a glance. This might not be a company that is very well known in the gaming space but the product has great reviews and people seem to love it. That is because the adapter does its job and does not cost a lot of money. While this is not a well-known company, the device is great and offers high-speed internet. The coverage and range are very impressive. If you need additional coverage on a budget then this is something that you should look into. The adapter supports both 5 GHz and 2.4 GHz frequencies which made it great for not only streaming the web and consuming content but downloading as well. These frequencies translate to up to 867Mbps and 300Mbps respectively. The adapter offers 100 yards of coverage which is very impressive indeed and all you really need to do in order to get it up and running is plugging it in and installing the drivers. 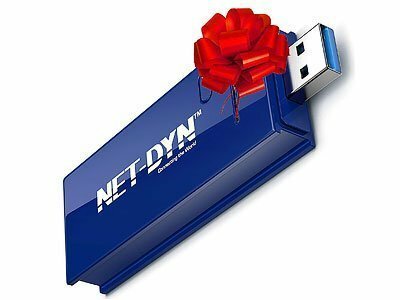 Here is what you need to know about the NET-DYN USB Wireless Wi-Fi adapter. Asus is known for making some pretty great gaming products and this one is no exception. The company does charge a premium for its products and that is something that you will see here as well. Asus is very well known in the gaming space and this is a great option to consider if you are looking to use Wi-Fi over ethernet. The price is a bit high but the device offers plenty of features that should justify the price. This is a PCIe based solution and will be installed in one of the PCIe slots. The adapter supports both 5 GHz and 2.4 GHz frequencies and can deliver up to 1.30Gbps internet speed. There are three antennas that can be adjusted and will pick up the best possible reception. The high-power design eliminates dead zones and provides 150% better coverage as compared to regular adapters. The adapter is backward compatible and works with previous operating systems as well. Here is what you need to know about the ASUS Dual-Band Wireless-AC1900 PCI-E adapter. While this is another adapter from Asus, has a USB interface rather than PCIe. You can plug the device into any USB port and increase your internet speed and coverage. The adapter has dual external antennas and dual internal antennas that provide great reception. This version uses the USB interface so it is very easy to install but it does not compromise on internet speed or coverage. 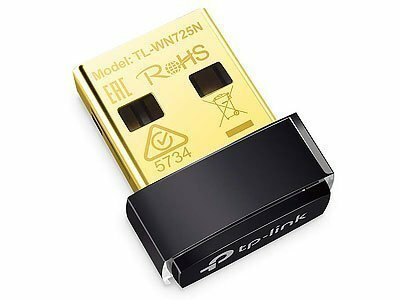 If you need high-speed wireless internet and are willing to pay a bit more for the luxury then this is the adapter that you should get. One of the cool things is that the external antennas can be folded. This lets you open them up when in use and then you are on the go you can fold them again in order to increase portability. Asus is known for creating some great products and this is no exception. The adapter is capable of 2.4 GHz and 5 GHz frequencies. This means 1300/600 Mbps speeds. The adapter also comes with a cradle so that you can place it on your PC or desk. Here is what you need to know about the ASUS USB-AC68 Dual-Band AC1900 USB 3.0 adapter. This is unlike all the fancy adapters on this list and you get what you pay for. There is a single antenna that connects into a USB port and that is pretty much all there is to this adapter. This is one of the reasons why the price is so low. The EDUP Wi-Fi Adapter is inexpensive but will get the job done. The speeds that it offers might not be the highest on this list but it is still decent. If you are on a budget and need better wireless connectivity then this is an option that you can look into. The lower price should not be a turn off as the adapter can upgrade your PC to 802.11ac, which is the standard right now. The adapter offers 2,4 GHz and 5 GHz frequencies and speeds up to 600 Mbps, which is very impressive keeping in mind that this device is fairly inexpensive. The adapter also works with 802.11g/n devices. The EDUP Wi-Fi Adapter is compatible with older versions of Windows and other operating systems and comes with a lifetime warranty as well. Here is what you need to know about the EDUP Wi-Fi Adapter ac600Mbps Wireless adapter. The D-Link AC1900 is another great option on our list that you should consider if you are on a budget and need better Wi-Fi reception and want to take advantage of higher internet speeds. The adapter offers both 5 GHz and 2.4 GHz frequencies and can deliver up to 1300 Mbps speeds. The D-Link AC1900 is another great option that uses USB interface and offers high-speed wireless internet up to 200 Mbps. This is very impressive keeping in mind that the device is relatively inexpensive. If you need really faster wireless internet then this is another option for you to consider. The adapter uses a USB 3.0 interface and is easy to install. All you need to do is plug it in and press and button. The adapter is also backward compatible with 802.11N/g/a. The sphere design is unique and looks good when placed on your desk or PC. Here is what you need to know about the D-Link AC1900 wireless adapter. This adapter works well with not only Windows 10 but older operating systems as well. The adapter supports both 2.4 GHz and 5 GHz frequencies and is able to deliver up to 867 Mbps speed on Wireless-AC, which is pretty impressive keeping in mind how small and portable this device is. The Linksys Dual-Band AC1200 wireless adapter does not offer the fastest speeds but it makes up for that with its small size and portability. If you are looking for something small that you can take with you then this is a great option to consider. The adapter works with all wireless AC 802.11ac devices and is easy to install. You get a CD for driver installation but you can also get the same files online. All things considered, here is what you need to know about the Linksys Dual-Band AC1200 wireless adapter. TP-Link is a very well-known company in the networking space and it has some great products. This adapter is no exception. The adapter is really small and is the same size as a wireless mouse dongle. TP-Link is very well-known when it comes to routers and other networking related products. The TL-WN725N N150 network adapter is not the fastest device on this list but it is very small and works with older operating systems. If you need something small that you can plug in and forget, especially for a laptop then this is the adapter that you need to get. You can use this with your laptop or PC. Plug it in and forget about it. If you are using it with your laptop then you will not have to remove it as the size is so small that it can easily fit into any bad or cover that you keep your laptop in. I highly recommend this adapter is you do your gaming on a laptop and need better coverage of higher internet speeds on the go. The adapter supports 2.4 GHz frequency and can deliver up to 150 Mbps internet speed. Compatibility is not an issue as the adapter supports the latest and older operating systems. Here is what you need to know about the TP-Link TL-WN725N N150 network adapter. This is yet another PCIe interface option from Asus. This one comes with 4 antennas in order to provide superior coverage. The adapter supports both 5 GHz and 2.4 GHz frequencies and can deliver up to 2100 Mbps speeds. The ASUS 4×4 802.11AC Wireless-AC3100 offers some of the fastest internet speeds but you do have to pay a premium for it. If you are willing to pay more for faster wireless internet then you should go for it. The antennas are flexible and can be adjusted according to the reception and coverage. The antennas can be attached to the PCIe card as well. So, there are a couple of configurations in which you can setup this adapter. The external antennas do increase the size of the adapter but they also ensure more coverage and you will get better signal strength over longer distances even if the signal as to pass through walls and other obstacles. The card comes with a custom heatsink that helps in heat dissipation. Windows 10 is supported but the adapter also works with older operating systems. Here is what you need to know about the ASUS 4×4 802.11AC Wireless-AC3100. While this is not a wireless adapter it can connect devices to ethernet. At one end you have the USB 3.0 interface and on the other end, you have the ethernet port in which you can plug in an ethernet cable. The adapter works with Windows 10 and older operating systems as well. While this is not really a wireless adapter, it can come in handy if you are looking to plug in an ethernet cable into devices that only have USB ports. The adapter is relatively inexpensive but does not work with Windows RT or Android devices. Amazonbasics products are usually inexpensive and simple but they are perfectly capable of getting the job done and this is a perfect example of that. Here is what you need to know about the AmazonBasics USB 3.0 adapter. This is another Ethernet adapter but this one has a USB Type-C interface and can be used with all kinds of devices such as laptops and smartphones. No drivers or additional software is needed in order to get the adapter up and running. This is another product that is rather inexpensive but will get the job done. This adapter uses USB Type-C to connect devices to ethernet and works with all kinds of devices including laptops and smartphones. This is a simple plug and play solution. The adapter is capable of delivering up to 1 Gbps internet speeds which is very impressive indeed keeping in mind how small and inexpensive the device is. Here is what you need to know about the USB-C to Ethernet Adapter. These are all the wireless adapters that we can recommend. All these options offer different speeds and features and you should find one that is in your budget and suits your needs. 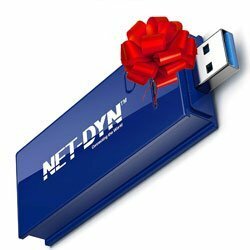 If you are still confused regarding which adapter you should go with then you should get the NET-DYN USB Wireless Wi-Fi adapter. The adapter is relatively small and inexpensive but will get the job done. We hope that you can make an informed decision based on all the information provided here. Wireless adapters come in all kinds of shapes and sizes. You might be tempted to get the cheapest one on the market but that is not something that we can recommend. Here we are going to look into some factors that you should keep in mind when you are looking to buy a new wireless adapter. You are getting a wireless adapter for convenience but you do not want to compromise on internet speed either. You need to check what sort of speed you have available and whether or not your wireless adapter can keep up with it. If you have a DSL connection then that should not be an issue. Fiber optics are becoming common now and these internet solutions offer high-speed internet. If you are using such an internet solution then you should check whether the wireless adapter that you are buying can offer the same speeds. Checking the internet speed also ensures that you are not spending too much money on a wireless adapter that offers higher speeds than your internet connection. While you check your internet speed, you should also check the technology that your router and Wi-Fi use. There are mainly two kinds of technologies that you will find when it comes to Wi-Fi, 11ac and 802.11n. 802.11ac can theoretically provide speeds up to 1300 Mbps but 802.11n is a lot slower and only offers 450 Mbps. This is something that you need to keep in mind. Both these standards are backward compatible so you shouldn’t worry. Single-band devices only support 2.4 GHz frequency but dual-band devices also support 5 GHz frequency. The lower frequency supports slower internet and the higher frequency can provide faster internet. This is something that you need to keep in mind when in the market for a new wireless adapter. Now that we have got the speeds and standards out of the way, you need to decide how you want to install the adapter. There are two main ways in which a wireless adapter can be installed. You can plug it into a USB port or you can install it into one of the PCIe slots. If you decide to go with a USB interface then you need to check whether the adapter supports USB 3.0 or USB 2.0. USB 3.0 is backward compatible and offers higher internet speeds, up to 5 Gigabits. USB 2.0 adapters provide only 480 Mbps. PCIe options offer faster and stable internet connections as compared to USB but you will have to check whether or not you have ample space on your motherboard. If you have a small form factor build then chances are that you only have one PCIe slot and your graphics card is already installed in that slot. Internal antennas are hidden away and out of sight. This makes the device portable. External antennas are mounted on the device and can be adjusted for maximum coverage. This does mean that the device will be bigger. In order to decide between the two, you need to see the kind of obstruction between your device and the router. If there are a couple of walls that the signal must pass through then it is better that you get an adapter that comes with a wireless antenna for maximum signal strength. The same is the case if you need to cover a lot of distance. If the router is closer and there are not many obstacles in the way then you can make do with a router that used only internal antennas. There are devices that offer both as well. There are a couple of things that make a great wireless adapter. Here we are going to look into what you need to look for in a wireless adapter that should make it work for you. Speed is the main thing that you should be looking for in a wireless adapter. Higher frequencies lead to better speeds and that is what you should be aiming for when buying a wireless adapter. While the 2.4 GHz frequency will get you decent speeds you should get an adapter with 5 GHz for maximum speeds. Single-band devices only have 2.4 GHz frequency but dual-band devices not only offer 2.4 GHz frequency but 5 GHz as well. This is something that you should look for in a wireless adapter for gaming. There are mainly two kinds of technologies that you will find when it comes to Wi-Fi, 11ac and 802.11n. 802.11ac can theoretically provide speeds up to 1300 Mbps but 802.11n is a lot slower and only offers 450 Mbps. This is something that you need to keep in mind. Both these standards are backward compatible so you shouldn’t worry. While the convenience of having no wires is great you cannot compromise on speed and you need close to wired internet speeds, when possible. Getting a premium adapter should provide you the speeds that you need but there are plenty of budget options as well that will get the job done. Coverage or range is also something that you need to keep in mind. Bad coverage will kill the internet speed no matter how expensive the device is. Coverage depends on what is between your device and the internet router. Coverage also depends on the antennas of the adapter. If the signal needs to pass through a couple of walls then you should go with an adapter that has external adapters so ensure maximum range and coverage. If there is only a single wall then you can make do with internal antennas as well. Size is another factor that you need to keep in mind when buying a new wireless adapter. External antenna means a bigger device. The external antenna adapters are great for placing on top of a desk or on your PC. If you want something smaller that you can move around from place to place then you should go with something smaller. Smaller devices have internal antennas which should get the job done is you do not have to cover a lot of distance or if there are not many obstacles that interfere with the signal. While the smaller portable devices are smaller in size, they are not as powerful as the ones that have external antennas. There are two main ways in which a wireless adapter can be installed. You can plug it into a USB port or you can install it into one of the PCIe slots. If you are spending a lot of money on a wireless adapter then you want it to be durable and last longer. That is why you need an adapter that is built well. There are plenty of adapters on the market that offer great specifications but only last few days due to poor build quality. Buy from a respected company that is known for using decent materials. That is one way of knowing that the product that you are getting is not going to break during the first few weeks of use. When it comes to getting a stable internet connection a wired connection is always the best. You are also able to get faster internet so matter where you are but you need to wire your router to your PC. While cable management can be an issue especially when putting down cables over long distances you do get better stability which is vital for some people. Faster internet and a stable connection mean lower ping when in games and that is something that people look for when gaming. Higher ping means a delay in action when in-game, which is not something that you want, especially if you are playing competitive games. Wireless connections are getting better and with these adapters, you can get speeds of more than 1200 Mbps. That is very impressive keeping in mind that wired connections are able to beat wireless connections. Ethernet cables are not flexible when it comes to moving around. No matter if you are moving around the house or from place to place. If you game on a laptop or need to move your PC around then an ethernet connection is going to be a pain and you would be better off with a wireless solution. We personally use a wired internet connection with our PC’s but when it comes to a laptop we go with a wireless adapter. Anything that uses USB 3.0 and offers portability is enough for us. The speed needs to be around 600 Mbps and it should offer decent coverage. We do not look for any flashy designs. If it is small and offers decent speeds then that is pretty much all we need. We look for internal antennas and dual-band devices that support both 2.4 GHz and 5 GHz frequencies as these provide faster internet. When we’re on the move, we come across all kinds of internet connections. While some are fast, others are relatively slow. Dual-band adapters ensure that we can get better speeds when the internet connection allows it. Here is everything that you need to know about getting a wireless adapter and the different factors that you need to keep in mind when in the market for a new wireless adapter. Remember that at the end of the day, you do get what you paid for, so be sure about the different specifications of the adapter as well as your internet connection.